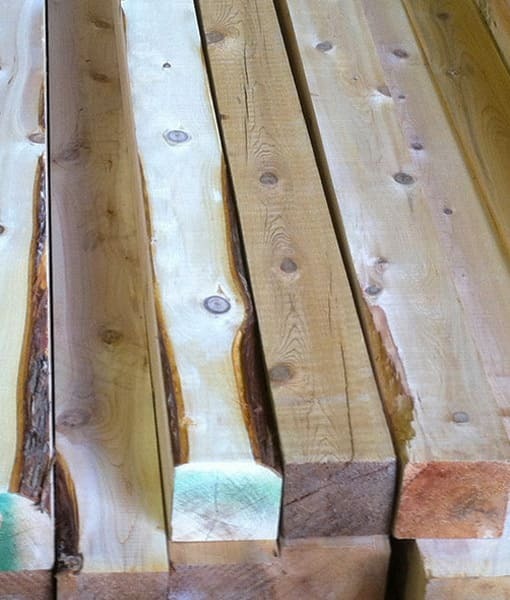 We offer 8' cedar posts for your shower kit. 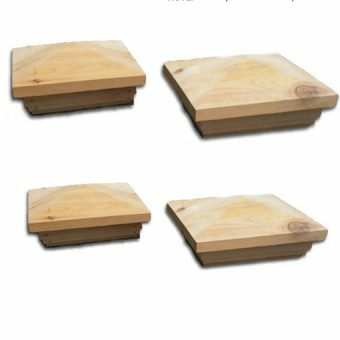 Add extra cedar posts against the house for house mount outdoor shower kits. 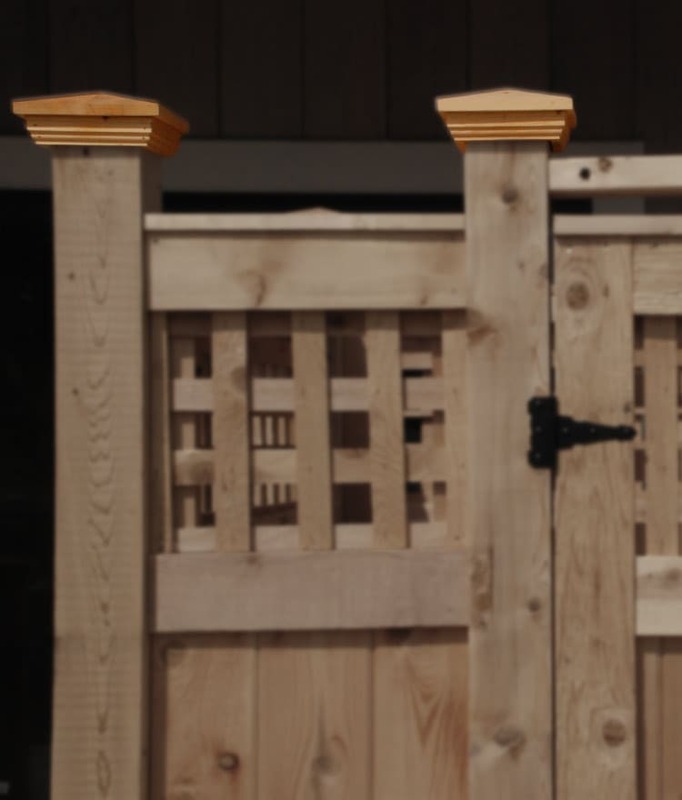 *Note: Our cedar posts are graded for ground installation where the bottom portion may have cosmetic defects. 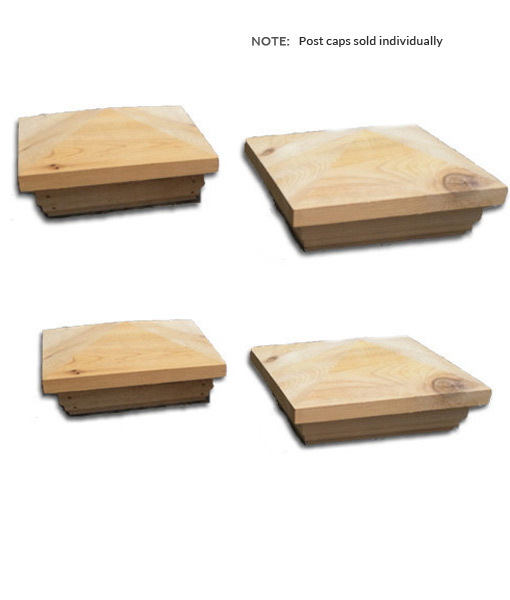 The posts may acquire seasoning checks as they dry which is normal and does not affect strength. 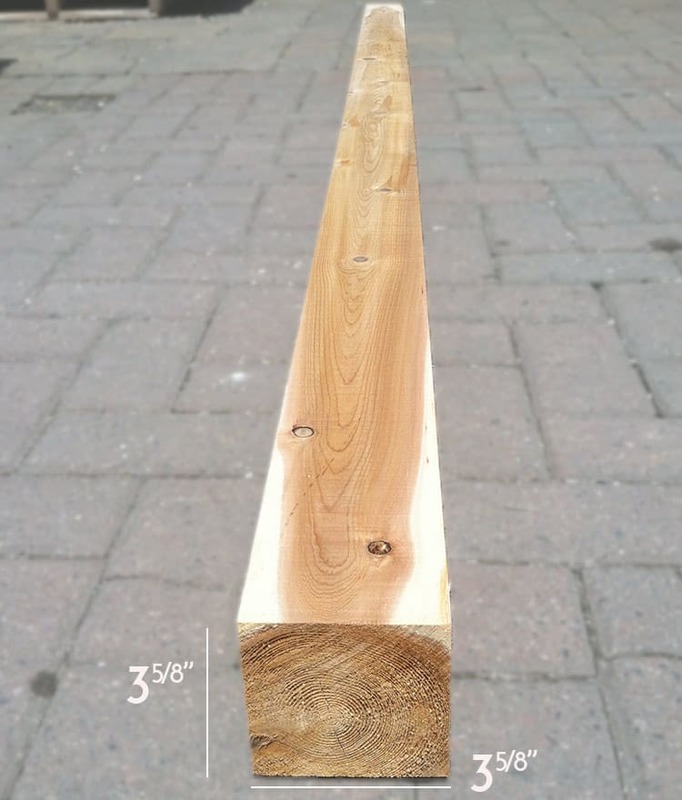 If cutting your cedar posts, it is recommended to cut from the bottom portion with cosmetic defects. 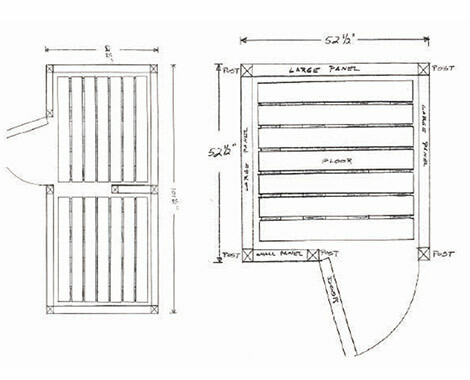 NOTE: If you want to buy the posts only, we ship via UPS or FedEx. 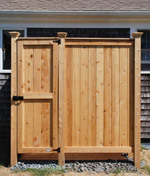 Customize the look of your outdoor shower with cedar posts and post caps. 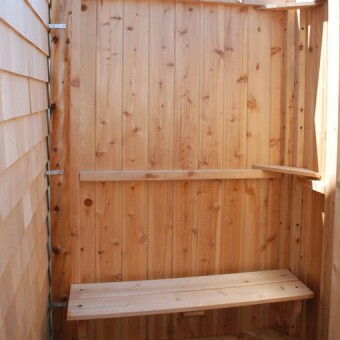 You can easily customize the look of your outdoor shower by adjusting the heights of where the wall panels sit on the posts as well as adding cedar post caps. 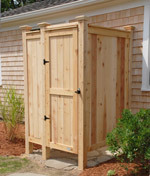 >> For an outdoor shower without post caps, you can have the posts flush, a bit higher than the wall, or a few inches higher for the classic outdoor shower stall look. 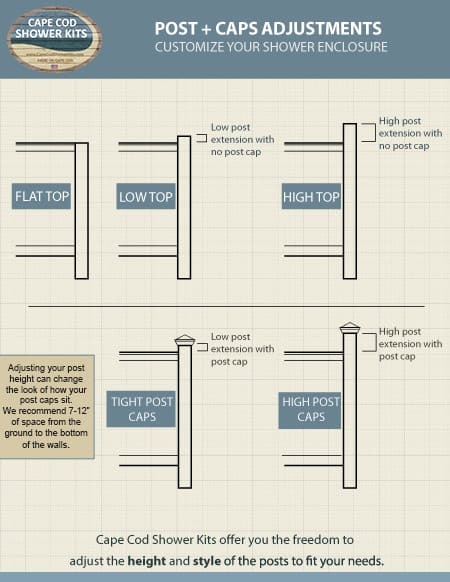 >> For those that have cedar post caps, you can also adjust how far it sits from the cedar wall panels.